I'm sure they can afford the best private tutors that money can buy, they meet a lot of people so are not in danger of becoming isolated and security-wise it's probably a lot kore manageable if the girls and parents always travel and stay together.. I choose home schooling for my daughter for 4 years because of her skating schedule , this was between 5 grade to 8 grade. I had a tutor, not the best but what I could afford. It was a private home schooling program too, so it was better program that some of the free ones out there. It was not easy, though she did it with other friend who was doing skating also. But I think the bad part is that I made a mistake choosing the teacher. Now my daughter is extremely social I would say too much for my taste, and she was always in skating , with kids of her age, and we did a lot of other things to be around with kids, that was not an issue . Now everything changed when she started high school, so I found out a school here , public , where you go twice a week obligatory and after the other days are optional, but you have the teachers there if you need too. In the school it is full of kids that do sports, not only skating, but hockey and tennis and the kids of famous personalities, singers, etc... which of course I could not give the names here for obvious reasons. This school it is giving the possibility now to go for one month to England for competitions. So this is great. Regarding her education, She was so advance from the time she did homeschool that she could had graduate it this year but I choose not, I wanted her to enjoy one more year of high school. She also speaks 3 languages fluently. She love it there , she has her friends, social life, prom, valentine dance, etc....with the freedom of doing what she loves the most that it is skating. Of course like all the other kids of her age, she has her social media, but you never can compare her fotos with the one Of the 2 princess, hers are more normal photos from teenagers, even I showed her the Instagram and asked her what did she think about them, and he said" As much as I love make up and fashion I wouldn't go with this extreme adults clothing, also they look too fake"
Duke of Castro celebrates today his birthday and his family wish him!! On TV journalists followed her for the preparation of a big party in her Castle at Saint Tropez . They went also with their private jet to the Wedding of Prince Leka from Albanie. Her husband says impossible to be boring.. I think she is a warm person with a lot of energy , tremendous rich , having a lot of friends... an unique exemple for the moment. On 28 February at the Chancellery of the Order in Rome with the presence of Duke of Castro and Princess Beatrice , has renewed, the Convention between the Constantinian Order and the Institute Dermopatico dell'Immacolata (IDI) , signed on November 20, 2017. The Castro Family at a night out yesterday meeting the actor Christophe Lambert. Princess Maria Chiara wish her father for the Father's Day today! 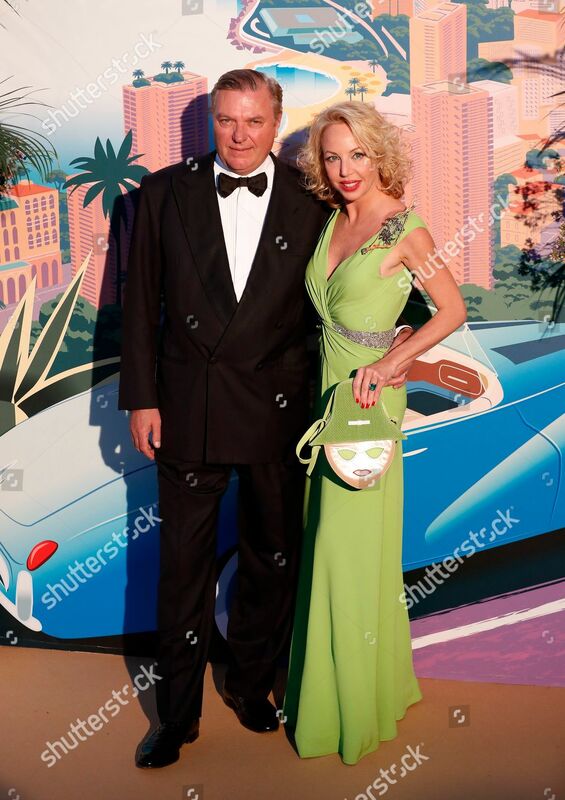 More photos and information can be found and posted here: Rose Ball, Monaco: 2005 - 2019. Duchess of Catro celebrates her 48th Birthday today! Princess Maria Chiara visit the the Monaco’s Oceanographic Museum!